The Dionis goat Milk Skincare Lotion is rich and creamy. With regular use it’s designed to ease rough skin, making it smooth and silky. It also does not leave a greasy residue like many lotions, so you can apply is right before putting on your favorite sweater. 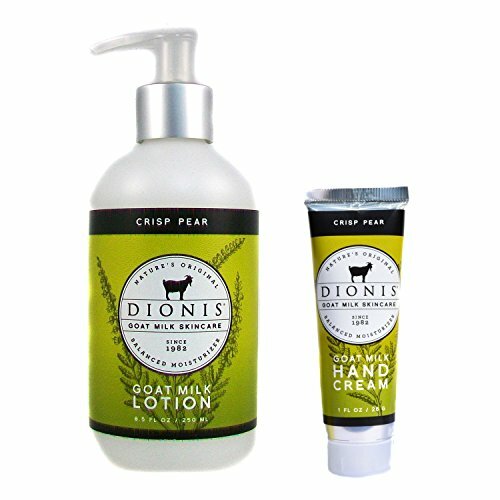 The Dionis Goat Milk Skincare Hand Cream nourishes and conditions skin without leaving a greasy residue. It’s perfect for soothing dry and cracked skin without creating an uncomfortable slippery surface for your hands. Goat milk is naturally enriched with high amounts of protein, fat, iron, and lots of vitamins. It has a pH nearly the same has human skin that allow our product to easily absorbed into human skin with no greasy residue, keeping you moisturized and nourished. Dionis products are dermatologist tested, cruelty free paraben free, gluten free, sulfate free, and made in the USA. For extra sensitive skin, they have unscented options as well. Feel good about feeling good with Dionis Goat Milk Skincare Products. CRISP PEAR: Dionis gets fun and fruity with their Crisp Pear scent. 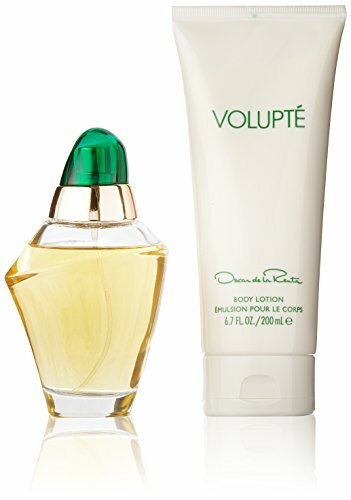 It’s a luscious sweet smell of crisp pear with the playfulness of a touch of sugar on top. SKIN’S BEST FRIEND: The Dionis goat Milk Skincare Lotion is rich and creamy. With regular use it’s designed to ease rough skin, making it smooth and silky. 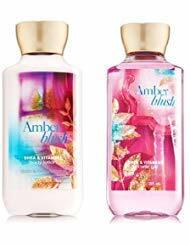 It also does not leave a greasy residue like many lotions, so you can apply is right before putting on your favorite sweater. MAINTAIN HEALTHY HANDS: The Dionis Goat Milk Skincare Hand Cream nourishes and conditions skin without leaving a greasy residue. It’s perfect for soothing dry and cracked skin without creating an uncomfortable slippery surface for your hands. WHY GOAT MILK: Goat milk is naturally enriched with high amounts of protein, fat, iron, and lots of vitamins. It has a pH nearly the same has human skin that allow our product to easily absorbed into human skin with no greasy residue, keeping you moisturized and nourished. FRIENDLY FOR EVERYONE: Dionis products are dermatologist tested, cruelty free paraben free, gluten free, sulfate free, and made in the USA. For extra sensitive skin, they have unscented options as well. Feel good about feeling good with Dionis Goat Milk Skincare Products.